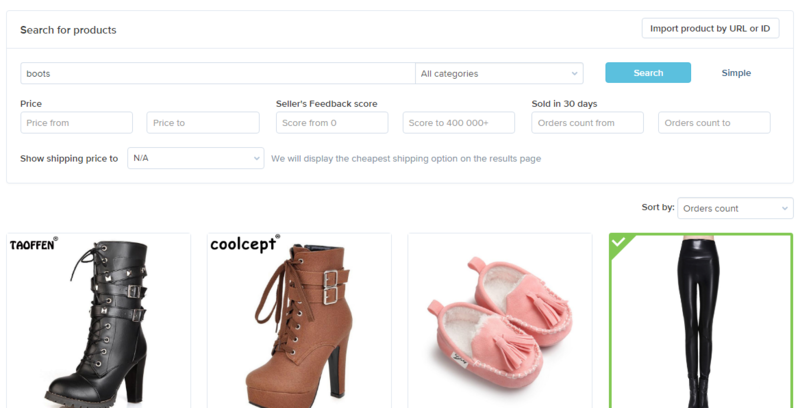 Ali2Woo plugin allows you to easily import any AliExpress products directly into your WooCommerce store and ship them directly to your customers – in only a few clicks. You can start your AliExpress dropshipping business as well using affiliate programs (AliExpress Portal or Admitad). If you want to migrate your store and products from WooImporter or AliDropship to Ali2Woo (AliExpress dropshipping plugin), we can help you to do this. Please note that each product can have any number of variations. Just purchase Ali2Woo (AliExpress dropshipping plugin) and contact support center, we’ll help you to migrate your products. Built-In Image Editor – edit images before pushing them to your store from AliExpress, and make changes to product images directly from the WordPress admin panel. Aliexpress dropshipping business & affiliate marketing – with Ali2Woo (AliExpress dropshipping plugin) you can sell products as dropshipper and/or using AliExpress (Admitad) Affiliate Key. 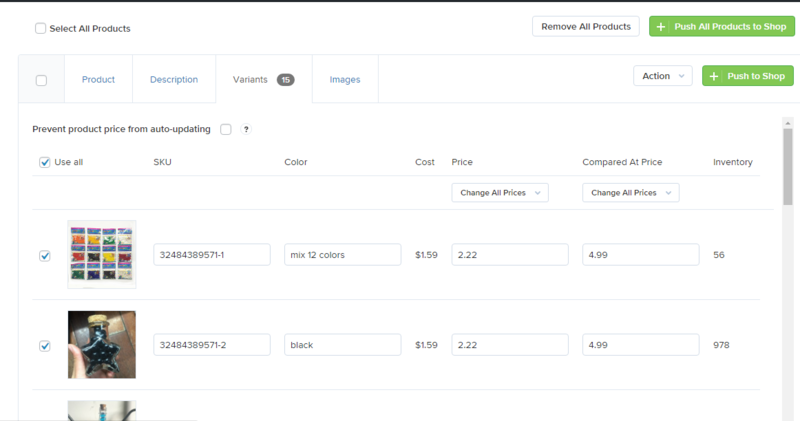 Woocommerce Variation Swatches Images – converts your normal variable attribute dropdown select to nicely looking color or image select. 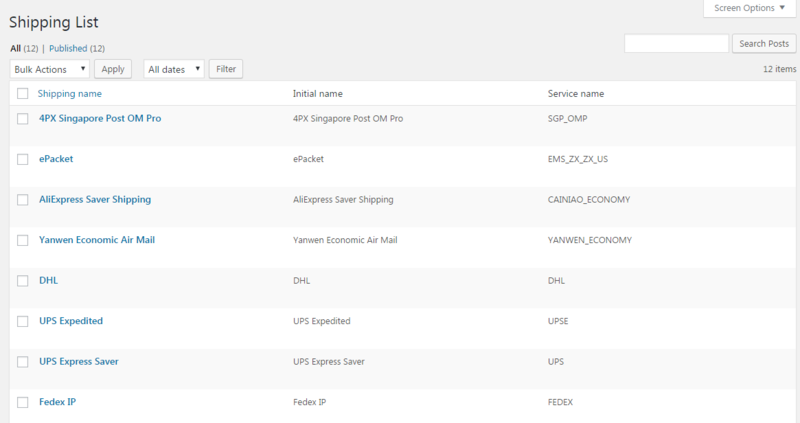 WooCommerce AliExpress Shipment Tracking – adds the advanced tracking functions to Ali2Woo plugin. Please check AliExpress dropshipping plugin backend preview as well. Ali2Woo plugin has documentation and knowledge base which help you to learn more about Ali2Woo features and how they work. Recently we started to do video tutorials for dropshipper. It helps you to learn Ali2Woo features faster and setup your dropshipping store easily. *Added a “Default shipping class” option. It's automatically assigned to all new products imported from AliExpress. It'll no be connected to ones which are already in thestore. *Added a new "Third name field" option in the plugin setting that enables this field on WooCommerce checkout page and allows to use it during an order-fulfillment process on AliExpress. *Added a feature to move/copy images from product description to the gallery, and vice versa. *Changed: the "Load Review photos" option behavior. If it is unticked, then review's photos are not loaded into WordPress gallery at all. *Fixed: the integration bug with "WooCommerce Variation Swatches Images" plugin. Now the variation swatches settings will not be reset during AliExpress sync. *Improved: algorithm of the script which imports AliExpress products. *Fixed: bug of showing the shipping methods for non-AliExpress products on Cart and Checkout pages. *Fixed: bug happening when both options: "Language" and "Translated Reviews" have been set in the plugin's settings. *Added: feature to split attributes values if the ',' symbol used as a separator in values. *Added: a feature that put special icon under affiliate products on the Import List page. *Added: an ability to sort for the products on the Import List page. *Added: global option to choose synchronization type for auto-update in the settings. *Added: a function to check if Woocommerce has been installed. If not, the notification appears. *Added: a new option "Don't import images from the description" in the plugin's settings. If it's enabled, then the description images are not imported. You can overwrite this option on the Import List page for specific products if needed. *Added: a feature to change the status of imported products ("publish" or "draft") on the Import List page and new option  "Default product status" in the plugin's settings. *Added: a new option "Prevent product quantity from auto-updating" in variation tab on the Import List page. *Added: a new option "Use random stock value" in the plugin's settings. If you set it up, then the product quantity is calculated as the random number from the range (set in the plugin's settings). *Added: shipping module has been re-done from scratch. It follows WooCommerce the shipping extension standards now. Country and shipping drop-down selections have been removed from the product page and added to the cart and checkout page for each cart/order item. How to install AliExpress Dropshipping Business plugin?